Grant Morris Dodds is a Las Vegas area law firm specializing in probate, trusts, trust administration, wills, estate planning, and guardianship, among other areas. The firm was established in 2011 to serve our every-growing client base. We believe what makes us different is not only the fact that our partners are experts in their field, but that we provide personalized service from friendly attorneys for a fair and reasonable fee. We believe each client is unique. No matter how complex your case, we can help. 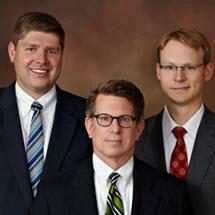 Call today to schedule a free initial consultation or to speak directly to an attorney! Call 702-613-0633 today for your free initial consultation.